The road to unionization has been treacherous for some of our newest public charter school members and their leaders. To walk this path requires tapping into personal reserves of strength and courage, while withstanding deplorable working conditions and threats of termination or school closure from charter officials wishing to prevent a union presence. The love and commitment that educational professionals have for our work, students and colleagues has empowered us to achieve past and present organizing successes previously deemed impossible. 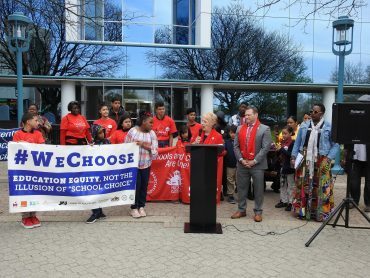 The recent establishment of the all-inclusive International Academy of Trenton Charter School Education Association (IATCSEA) is one example of public charter school educators’ fortitude and perseverance in the face of uncertainty. Led by president Dana Keene, IATCSEA’s organizing story reads more like a playbook from the public educators’ movement of the 1960s than 2017 America. Keene’s desire to teach started in high school where she felt a calling to the profession. 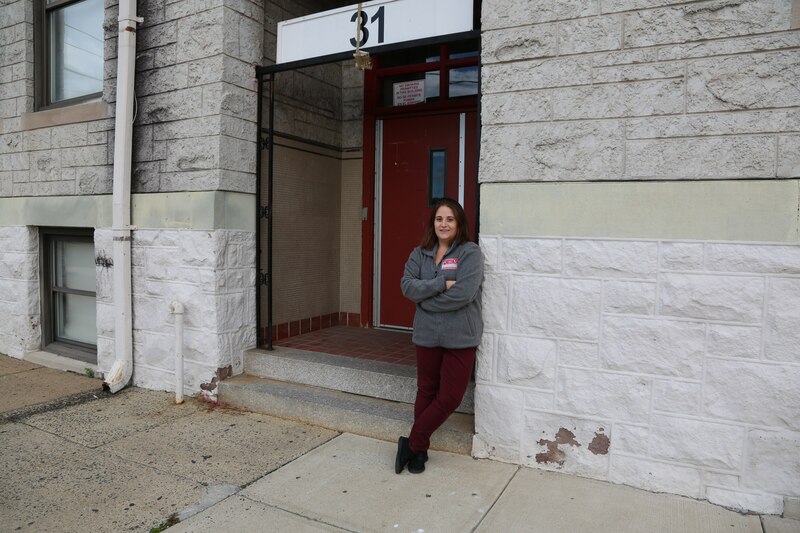 As an International Academy of Trenton Charter School (IATCS) new hire she quickly learned that all was not well, sometimes literally, within the walls of the charter. Keene’s first steps to organizing the local involved reaching out to the approximately 63 staff members to gather information on what they felt were the issues. She and her like-minded colleagues were interested in implementing positive changes that would improve the educational conditions for students and working conditions for staff. The encouragement inspired her. She called the main number for NJEA on her lunch break and got a call back from NJEA Organizational Development Representative Marguerite Schroeder that afternoon. With immediate NJEA guidance and support, from Schroeder, UniServ Representative Alex DeVicaris, Organizational Development Consultant Jaime Valente, and NJEA network attorney Keith Waldman, the IATCSEA’s journey to affiliation began. A small group of Keene’s colleagues agreed to join her at NJEA headquarters for an initial meeting on how to become a local union. As quickly as it began, however, the movement was wrought with uncertainty. Many individuals refused to attend the initial meeting with NJEA—fearing retribution from their employer. While most supervising administrators at IATCS steered clear of the fray, charter officials targeted specific groups, such as cafeteria workers and custodians, by telling them they would most certainly lose their jobs if they unionized. The officials insisted that their corporation would close the school before accepting a union. Keene and her crew had much work to do. They continued to spread the message that change must happen, and it must begin with them. Determined colleagues gathered after school in various locations, including the parking garage next to campus, to discuss unification and sign affiliation cards. The required number of signatures were obtained and submitted to the New Jersey Public Employment Relations Commission (PERC). Keene was elated when she got the call in September of 2016 that IATCSEA was approved. Adding to the success, co-workers who had previously felt intimidated by charter heads during the process quickly signed up after the local was firmly established. Keene’s remarkable spirit and determination during this movement is magnified by the fact that she was pregnant with her first child while walking into the fire, and through the fear, of organizing a corporate charter. 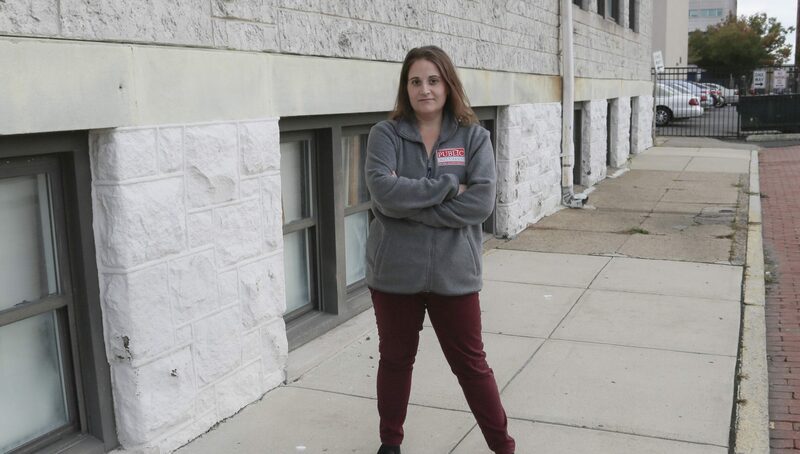 Dana Keene at a previous site of the International Academy of Trenton Charter School. SABIS, the management company that runs IATCS, has a global corporate charter network with schools in 20 countries. Originating in Choueifat, Lebanon, SABIS North American headquarters in Eden Prairie, Minnesota sends funds to entities outside of the United States. SABIS currently operates two charter schools in New Jersey: International Academy of Atlantic City Charter School and IATCS. Both schools have some of the lowest median teacher salaries in New Jersey. Out of 647 New Jersey traditional public schools and public charter districts, IATCS median salary is nearly at the bottom: 641st at $43,500. 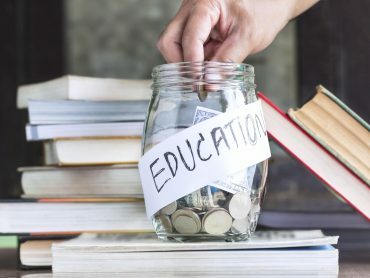 The funneling of American education tax dollars to the heads of foreign corporations, with no locally elected representation to approve or deny the allocation of funds, raises many concerns for parents, taxpayers and legislators. Communities and legislators across New Jersey and the nation are taking a harder look at charter policy. There is a growing bipartisan awareness that most charter legislation is missing key components for local control and contains other loopholes that benefit corporations, not students. NJEA’s endorsed gubernatorial candidate Phil Murphy questions how the public charter system works in New Jersey. Charter school association leaders like Keene are fighting at the local level to address those inequities and consequences, intended or not. At the state level, NJEA policy (see sidebar, Page 32) addresses the original intent of the public school charter law and the inequitable ways in which the law is currently being applied. And how are the conditions for staff and students in the International Academy of Trenton Charter School now that a union has been established? Keene reports that things have much improved since her group established a seat at the table. There is a good working relationship within the school community. Administrators have been interested in partnering with the association to improve the conditions for students and staff. SABIS officials however, continue to erect road blocks to progress. They make it clear that they would prefer not to deal with the union and will do everything in their power to undermine the association. When it comes to finding the strength and courage to step forward and advocate for their local association and other charters, Keene pledges that she and her members will continue to lead the way. Dana Keene can be contacted at DKeene109@gmail.com. The IATCSEA is one of 17 public charter schools with staff represented by NJEA. Over 1,000 NJEA members are charter school educators. 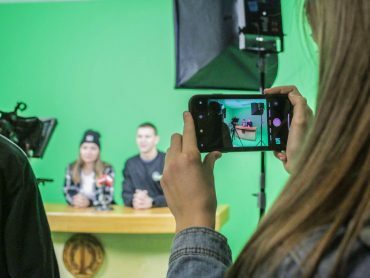 As the NJEA public charter school membership grew, so did the demand for a group that could discuss issues and actions unique to members who work in organized charters. From that need, the NJEA Public Charter Member Workgroup (PCMWG) was born. Local leaders from each of the NJEA organized public charter schools represent their association through the work of PCMWG. This team includes many battle-tested charter organizing veterans who won affiliation and successfully advocate for their colleagues and students every day. They are passionately pro-public education. The mission of the PCMWG is to end the climate of isolation that exists in both NJEA affiliated and nonaffiliated public charter schools. The work group seeks to organize New Jersey’s public charters into local unions affiliated with NJEA and engage members in all aspects and services of NJEA. The group also works to thwart the corporate charter school movement and to influence needed amendments to the state’s current charter school law. NJEA has policy on charter schools dating back to their legal enactment in 1995, and as recently as the past school year. 1. The funding formula established under the School Funding Reform Act is fully funded for all public schools. 2. The public school district(s) affected have proposed and passed a balanced budget that did not require or include a reduction in force, for the two years prior to the application, as well as for the current year. Public disclosure of nonpublic funding amounts and length of commitments. Public disclosure of student behavior codes and disciplinary policies. Public reporting of student retention rates. Staff hiring requirements, and public disclosure of staff qualifications and retention rates. The establishment, monitoring, and enforcement of financial conflict of interest laws for charter sectors. NJEA is actively supporting legislation and/or regulatory language that will ensure equitable funding for all public schools in the state, and that all public schools, including public charters, are held to the same standards of transparency and accountability. At its Sept. 17, 2016 meeting, the DA voted to advocate for legislation that all charter schools in New Jersey be mandated, by statute and regulation, to be governed by their own publicly elected boards of education that are proportionally representative of, and accountable to the communities they serve. Currently, charters schools are governed by self-selected boards of trustees. NJEA supports high-quality public charter schools as one component of an innovative, progressive system of public education. While no single school model can provide all the answers to the challenges faced by our public schools, public charter schools, along with magnet schools, vocational schools, and traditional public schools can all play an important role as laboratories for innovation and provide a broad array of choices for parents. It is critical that successful schools of all types share their successes so that other students can benefit from the best practices in all of New Jersey’s public schools. At the 2017 National Education Association Representative Assembly (NEA RA) in Boston, a new policy on charter schools was developed that boosts NEA’s support of state and local efforts to limit charter growth and increase accountability. It seeks to slow the diversion of resources from neighborhood public schools to charters while allowing the NEA to continue organizing charter school educators who want to provide all students with the opportunity for a great education. NEA President Lily Eskelsen Garía applauded the new NEA policy.